Small but friendly pub showing Sky Sports and BT Sport across 5 screens. We serve great Sunday roasts and a selection of real ales. 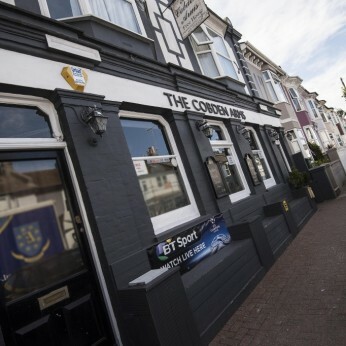 We are a small but friendly pub with darts and pool teams. We serve great food from locally sourced produce. Sports shown across 5 screens on both Sky Sports and BT Sport. We allow dogs and children together with great service. Come dance your worries away, at our monthly Motown night! Come along to The Cobden Arms, on Saturday 21st April for our Motown night. Dance your worries away! ???????? ??????? ?